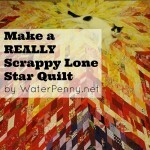 My name is Dana and I have been quilting since I was kid. But I have been obsessed with it for the last ten years or so. I also love jokes, cats, summertime, gardening, and my super cute kids. I teach quilting in Ohio. Here are some Tutorials I have made over the years. 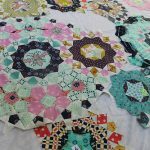 Here are the quilts I made in 2015. Here are the quilts I made in 2014. In case you are like, geez, why did she stop compiling her quilts in 2015 – that happens to be the year my first child was born! Since then, blogging has taken a backseat. 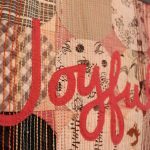 I am very active on Instagram and with my local modern quilt guild. I love teaching and meeting quilters in person. And sometimes I still use this rusty old blog, because we have a lot of great memories together. Water Pennies are tiny little bugs that can only live in very clean streams. I love clean water and have spent a good chunk of my non-sewing time working for clean water.